Immigration • HB116 repeal to be hot topic at GOP convention. 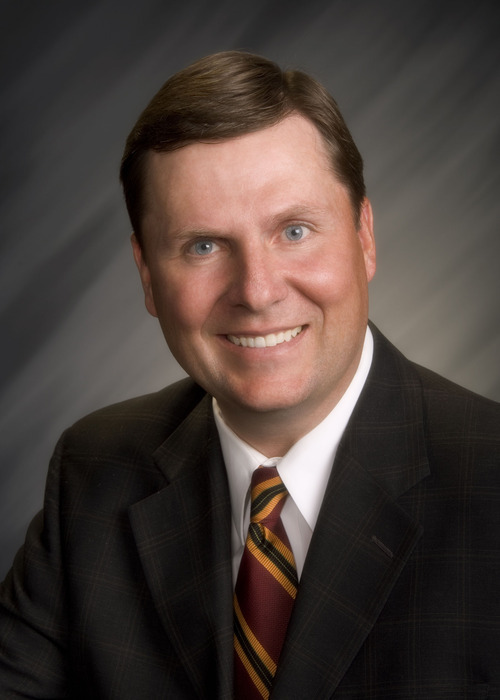 Stan Lockhart, former chairman of the state and Utah County Republican parties, is urging defeat of an anti-guest worker resolution to be presented at Saturday's Utah County GOP Convention. A resolution to repeal a state-sponsored guest worker program makes a critical stand this weekend at the Utah County Republican Convention as supporters look to rebound after the resolution failed to get endorsements at conventions in Weber, Davis, Iron and Box Elder counties, among others. But it did get a key victory in Salt Lake County two weeks ago and the resolution's author, Keri Witte, believes that indicates it still has plenty of life. "If it can pass in the most liberal county in Utah, it should be able to pass in one of the most conservative counties," Witte said. Witte has been carrying the resolution, which contends HB116 violates the county, state and national Republican Party platforms by creating an amnesty program for the roughly 110,000 undocumented immigrants currently living in the state and setting up Utah as a draw for more. The bill, signed into law by Gov. Gary Herbert, would take effect in 2013 and Attorney General Mark Shurt-leff has made several trips to Washington, D.C., in an attempt to coax officials in both the U.S. Department of Homeland Security and Department of Justice to allow Utah to try the guest worker program. It has garnered national attention  even drawing the attention of President Barack Obama, who recently met with religious and political leaders from the state on the law and its inspiration, the Utah Compact. However, the guest worker law has virtually no support among Utah's congressional delegation. It would, if implemented, allow undocumented immigrants in the state to pay either a $2,500 or $1,000 fine  the former if they came here illegally and the latter if they overstayed a visa. The law requires background checks, the workers to have health insurance and pay taxes that would be set up in a state fund until the federal government established a way to collect those federal taxes. Stan Lockhart, former chairman of the state and Utah County Republican parties and husband to House Speaker Becky Lockhart, said he's been so "alarmed" by the repeal movement against the guest worker bill, he decided to send an email blast to delegates in anticipation of Saturday's meeting to convince delegates that the resolution is a bad idea. "Opponents are embracing an approach where they simply don't want to recognize the reality of the situation we're in," Lockhart said. "Utah is not encouraging any kind of illegal behavior. It is dealing with a reality." That reality, he said, is that undocumented people are already here and that the guest worker bill is a solution based in reality. He said it already fines undocumented immigrants 10 times the federal penalty, which is $250. He also said it gives them an opportunity to emerge from the shadows, pay taxes and that the money collected in fines goes toward fighting identity theft and providing restitution to victims of that crime. Rep. Chris Herrod, R-Provo, will present a case for the resolution on Saturday and said the guest worker bill flies in the face of fairness for those trying to come to the country legally. He said, however, the recent statement by the LDS Church has had an effect on the way the resolution has been received. That statement, issued April 19, reiterated the faith's stance in support of the Utah Compact and its view that the immigration bills passed by the Legislature  including the guest worker law  represented a "responsible approach." It also stressed the importance of families, the commandment to "love they neighbor" and that the federal government must secure the borders. "It doesn't seem like you're loving thy neighbor when you punish those trying to come legally and allowing others who broke the law to stay," Herrod said. "If you have families separated for a long time as they try to come legally and allow others to jump in front of the line and stay, that doesn't seem to me to be keeping families together." The resolution may be in for a tough fight on Saturday, however. Sen. Curt Bramble, R-Provo, was one of the architects of HB116 and said at the Utah County Republican Executive Committee last week, the vote was "almost 2-to-1" to not support the resolution. The resolution approved in the Salt Lake County Republican Convention but, as yet, no other county gathering, calls on the Legislature and governor to "immediately repeal" HB116. It also expresses "deep concern that Republican legislators voted in favor of [the bill] and that Republican Governor Gary Herbert signed the act, insomuch as it clearly violates County, State and National Republican party platforms and faces serious Constitutional challenges."